As any good photographer will tell you, there is always something new you can learn in the field of photography. A new technique, a different perspective, or even a new technology can be found around almost every corner. And sometimes it can be a little intimidating or overwhelming. I offer a variety of photography classes for people at all skill levels. My classes are typically small, hands-on, and comfortably paced. My goal is to get you comfortable with your camera, and provide you with the knowledge and skills to take some incredible pictures. 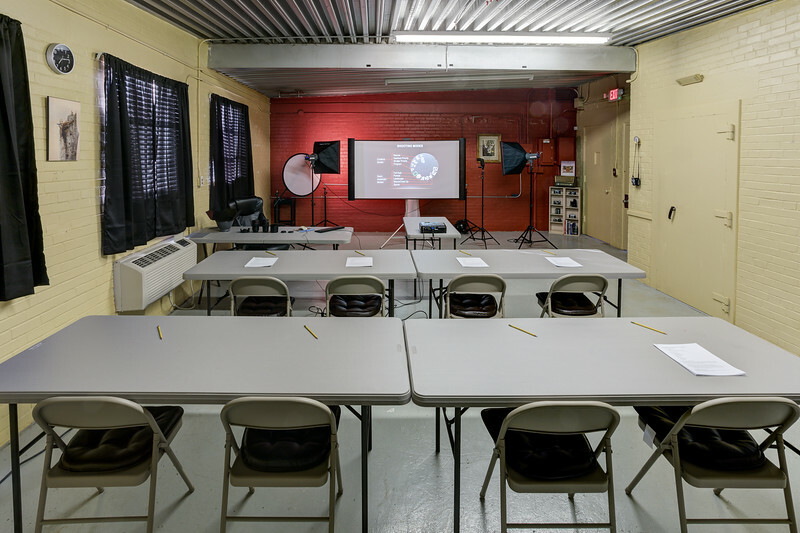 If a classroom setting is not really your thing, or you want more one-on-one and personalized help, I also offer hourly photography lessons and "in the field" workshops; $25 an hour. Classes will return spring 2019, dates and times coming soon. "When I began photography classes, I hoped to learn about my camera; but with Ken’s classes I learned to see the whole shoot differently. I have a working knowledge of all areas of my camera, photography theory and principles, as well as, a kind, patient, and extremely talented teacher I am proud to call friend. Ken Foote is the real deal and is flexible enough to take any beginner or working photographer and help them grow their hobby or business. Five stars! - L.H. "The old saying “Those who can’t, teach” certainly does not apply to Ken Foote. He is an amazing photographer, AND a great teacher. He intentionally keeps his class sizes small, so he is able to provide a great deal of one on one instruction. I have taken several of his classes, and hope to secure a place in many more!" D.F. "I would highly recommend Ken's class to anyone who's interested in photography. He teaches in a way that makes it easy to understand. I've taken many photography classes and can honestly say he is by far the best one to break down how your camera works. He makes it easy to understand and is willing to answer any questions you have. Outstanding teacher. I will definitely be taking more classes from him in the future." - D.G. "The best photography instructor in the Middle Georgia area! Basic, intermediate and advanced has a class for whatever your needs are. Also, has an awesome photoshop class that was extremely helpful." D.M. "Ken is extremely knowledgeable about photography and is an exceptional teacher. He is a GREAT photographer. I love taking his classes and try to take all of them. If you are interested in photography and want to learn more about it, You will definitely benefit from taking any of his classes." R.H.
"Ken has the best photography classes ever! Very informative and he is a great teacher. Always has time for extra attention when needed. I travel from Bolingbroke to Perry just to attend his classes. Thanks Ken!" S.S.
"I have taken a few of Ken's intermediate photography classes and have always walked away with new tools to enhance my photos. His lessons are easy to understand, he offers in-depth assistance if needed. This great guy goes above and beyond in sharing his passion with his students." - M.T. "Ken is a fantastic photographer and an excellent teacher. I've taken two of his classes and plan on taking more to learn all i can to improve as a photographer myself. Thanks Ken!" B.J. "Hi my name is Denny. I have always loved taking pictures and finally decided to get serious. After looking around for a photography class to take I chose Mr Kens because I really liked his photos of wildlife not just because I'm interested in that style but the sharpness and crisp look of the photos got me. I tried taking a class a few years ago to get to know my camera and really didn't understand anything the teacher was explaining. Mr Ken however was very thorough and took the time to explain to each of us any questions we had. I really enjoyed this class and learned a lot. I will be attending more classes as they come available. Hope to see you there." - D.H.
"I felt that this class was very informative, perfect for a beginner photographer/new DLSR camera owner. Mr. Foote was very thorough and made sure that the entire class was able to keep up. I look forward to experiencing future classes." - R.W. "I thought the beginners class was extremely informative and fun. I would highly recommend it to anyone with a desire to take good pictures. I'm looking forward to more classes from Ken in the future!" - S.S.